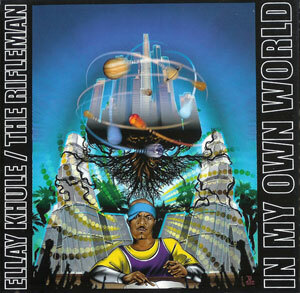 The much talked about release from Ellay Khule & Joe Dub is here!!!! Ellay Khule has been a mainstay on the LA underground / Project Blowed scene for more than a decade and hasn't missed a beat yet. One of the true originators of the "chop," he's spearheaded a movement along with his peers from The Good Life that has been followed, studied and copied, spawning many offspring in the hip hop community. MC/Producer Joe Dub is no rookie either. He has steadily made a name for himself from his days as a member of San Francisco Street Music to his solo outings under various monikers to his upcoming release with Topic as the Painkillers. With a like minded yet equally challenging commitment to this collaboration, these two have truly created an album that not only defines the west coast sound, but also sets a standard.